Proposals are more an art than a science, but that doesn't mean that a little science wouldn't hurt. While there's no one way to propose, a successful proposal has several common factors that I want to address. There are also plenty of common factors present in unsuccessful proposals. It is my hope that today's installment will help your proposal be a memorable story you tell your grandchildren, and not an embarrassing Youtube video that will haunt you forever. Let's start with the most important factor in a proposal. If you don't know 100%, that the answer is "yes," then don't propose. I realize that this isn't the most romantic advice, but I have news for you. We're talking about marriage, a lifelong commitment that requires a lot of work and sacrifice. Maintaining a successful marriage isn't easy, and if you don't have the right partner by your side, you're already starting with a huge handicap. Part of having the right partner is the both of you being on the same page, and that includes the both of you having the same opinion on marriage. If only one of you is going to be committed to your marriage, then that's a problem. Whenever we enter the political season, politicians like to make hay (and other farm byproducts) by speaking about their desire to legislate out of the Bible. Naturally, this causes many in their audience to ask a lot of questions. The Bible is not a simple document, and is has a long, proud history of not being a simple document. Not everyone understands what it really says and how it applies to modern life. After all, the context of the Bible is not a world that included the internet, refrigerators, and working knowledge of deoxyribonucleic acid. It can be tough to apply all those old rules and regulations to modern life. This can lead to a lot of tricky questions. These are bound to come up in conversation, particularly if you happen to be using the Bible as your sole argument as to why everyone shouldn't be allowed to do things you don't approve of. The following is taken from from forwarded emails on the subject, a satirical series of questions about the Bible, aimed squarely at those who want to legislate Biblical rules. 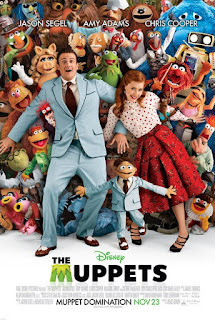 Quick Review: If you love the Muppets, you must see this movie. Full Review: My original plan for this review was to simply compare this film to the past Muppet movies and see if it holds up. I was going to treat this like just another movie, but after watching The Muppets, I realized that such a perspective would miss the point entirely. I could just tell you how great this film is, how it's very funny, witty, moving, and quite possibly second only to 1979's The Muppet Movie in terms of greatness. All of those statements are true, and if that's enough to make you go see it, by all means stop reading here, see it, and then come back to read the rest of this review. It'll still be here, and you'll understand why this isn't just another rehash, remake, or reboot. 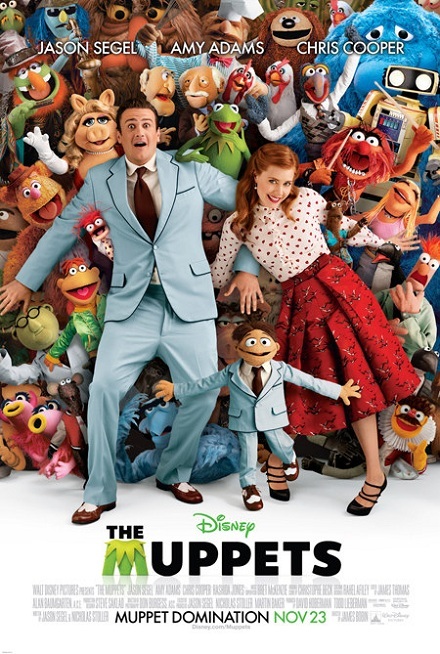 This is something we've never seen before from the Muppets, and ever since I walked out of that advance screening, I've been trying to wrap my head around why this film was great. I hope this following review does the film justice. As we begin to date our significant other, we look for clues and signs about the direction of our relationship. Is this just a short-term fling? Or is this the beginning of something long-term? We become little scientists, putting on mental and emotional lab coats and getting out clipboards and running the numbers. Testing is an important part of the relationship process, and I'll talk more about it in a later installment. Today's topic concerns one test that I believe you must run before committing to this other person for the rest of your life: the road trip. A Director is trying to give motivation to an Actor playing Peter in the pivotal scene when he confronts the Sanhedrin. The Actor’s missed lines are all famous movie, television, Shakespeare, or speech quotes. They should be done in the style of these famous lines. I wrote this reading for a Good Friday service. It follows the life of Jesus and ends with His arrest, crucifixion, and death. The men who carried the paralytic to Jesus would stop at nothing, literally nothing, to see their friend healed. Still, such an act of faith could not have been easy for all of them, just as taking a step of faith isn’t always easy for us today. Characters: John is cynical about Jesus, and Paul has his doubts. Daniel has faith and Joshua is determined to get his friend to Jesus. We all have free will. The devil can’t literally make us do anything. However, this doesn’t mean there aren’t temptations out there that can trap and destroy us if we’re not careful, and even if we Christians can avoid the usual pitfalls, there are plenty of other temptations we can fall into. Sometimes what seems good is actually the worst thing in the world for us. The devil is a crafty one. He’s also a really big jerk. Satan – a seeming paradox. He is very smooth and yet is a big bully. He is very full of himself and yet immature. To play him, all you need is a man in a really nice suit. Demon – Satan’s new lieutenant. He sits back watching the master at work. He is also in a suit, but in a tweed one. Martin – a young man just leaving college. Characters: Three people are all giving their own testimonies about being a part of a church. Aaron only attends worship services. Billy only attends worship and Sunday-school, while Cathy attends worship, Sunday-school, and participates in ministry. Sometimes we Christians speak another language altogether, and it can be hard to translate to outsiders wondering just what we’re up to. Characters: Mary is someone who read a flyer advertising a Christian club. When she arrives she meets Rick and Ruth, who are no help whatsoever, and Paul, who finally helps her get to the bottom of things. If you are looking for something to read as you light the candles for Advent, I offer you five passages, one for each Sunday. Each week follows the traditional Advent schedule, talking about the different people who played a role in the Christmas story: the prophet Isaiah, the Shepherds, Mary, the Three Wise Men, and Simeon. Note: The final reading has two versions, for either Christmas Eve or Christmas Day. They are the same passages otherwise. In our zeal to celebrate Christmas, it’s easy to forget the real reason for the season and instead focus on everything that doesn’t matter. We make ourselves and everyone else miserable during a time of year when we should be celebrating and contemplating God’s great love for us. 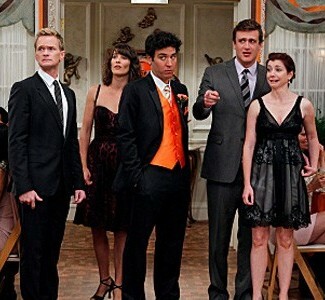 Characters: Gary is the type of person who makes everyone miserable by trying to make Christmas perfect. He should be dressed somewhat Christmassy and will have a cell phone. Ty is the host of the show who wants to change Gary’s heart. Growing up, we all succumbed to peer pressure. Whether it was to smoke, drink, or get a stupid haircut forever memorialized in our high school yearbook, we did it because all our friends thought it was a good idea. I, too, fell into peer pressure growing up, and it's something that many of us did because we thought it made us look cool. I got involved in a land war in Asia. Quick Review: Easily the best episode of the season so far. 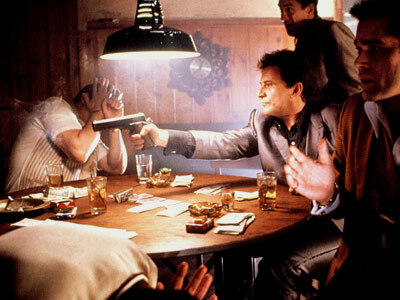 Goodfellas is an amazing story for several reasons. The first is that it is a true story, based on the book Wiseguy. In a rarity for Hollywood, the movie stays pretty faithful to the real-life events, because when you read about what the real-life Henry Hill was up to, you'll see why they didn't need to embellish. The other reason the movie is amazing is that it's a perfect morality tale. Did you ever have to share a room growing up? Perhaps you shared a dorm room in college. Or you were forced to share a backseat with one or more siblings on a long family road trip. (Even worse, you had to share it back when cars didn't come equipped with DVD players...the horror!) If you've ever had to share space with another person, you've dealt with the issue of territory. You also know how it feels when someone violates your territory, and that feeling is the opposite of a pleasant surprise. Let's go back to that shared room. The Interpersonal Communication Book (11th edition) by Joseph A. Devito refers to our room as one of our primary territories. And a primary territory, be it your room, house, or car, is your most sacred space. You don't want just anybody coming in a violating it. Now, if you already have someone in that room, your side of the room becomes that primary territory, with your bed being the most important spot, the inner sanctum.